This Saturday your Hut Hosts will be Sue and Brynn Rugg and they will have Donna and Rick McDonald helping them to serve up the food, fun and conversation that you can only get at The PRR Warming Hut! The good dining continues later that day at The PRR Clubhouse when our annual Turkey Dinner will be happening from 5pm to 7pm. This dinner is a fundraiser for our scholarship that we award annually. This Saturday’s Hut Menu is Buck Rub Chili with cornbread, Clubhouse Turkey soup, Hut Dogs (the best dogs north of Beantown! ), fresh baked goodies, candy, hot & cold drinks, PRR hats, maps and Raffle Tickets for the 2019 Raffle Ski-Doo to be awarded at The PRR Steak Feed! That’s only a month away, so get your tickets while we still have some. The raffle sled is made possible by the folks at DaSilva Motorsports, so a big “thank you” to them! 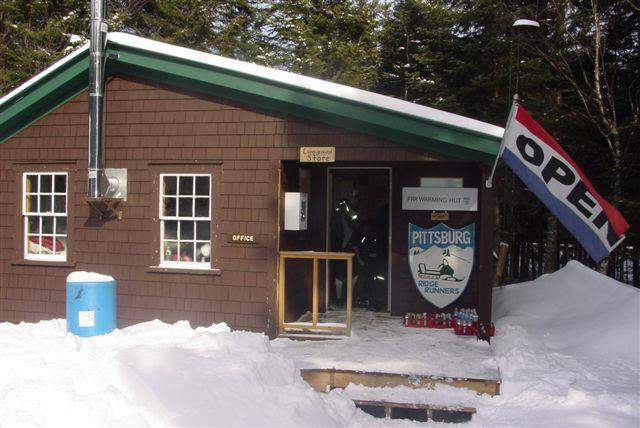 So, if you’re up enjoying the best trails in NH, (The PRRSC trails of course) stop up to The Hut for a hot or cold drink, some lunch, a snack or just to say hello…we’ll have the heat on for you!